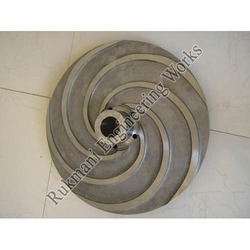 Rukmani Engineering Works is supported by a team of highly qualified and experienced engineers who are familiar with each and every requirement of customers. They make each Industrial Castings and Special Castings keeping in mind customers’ specifications and drawings so that match their demands. Manufacturer, Supplier, Distributor, Trader and Exporter of Industrial Castings in Coimbatore, Tamil Nadu, Karnataka, Andhra Pradesh, Kerala, India, North India. Rukmani Engineering Works is supported by a team of highly qualified and experienced engineers who are familiar with each and every requirement of customers. They make each Industrial Casting and Special Casting keeping in mind customers specifications and drawings so that match their demands. We offer the following types of castings in this product range at very cost effective rates.